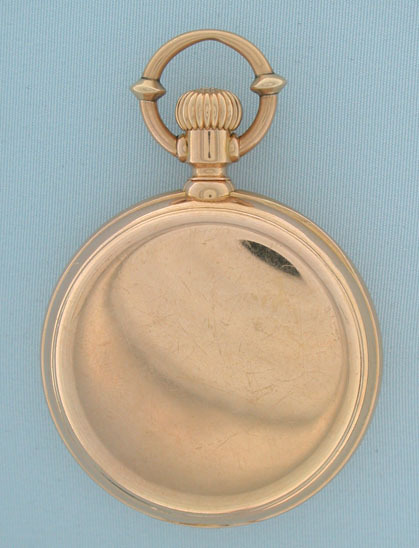 Fine small 18K gold Jules Jurgensen bow setting antique pocket watch circa 1885. White enamel dial with blued steel Breguet hands. 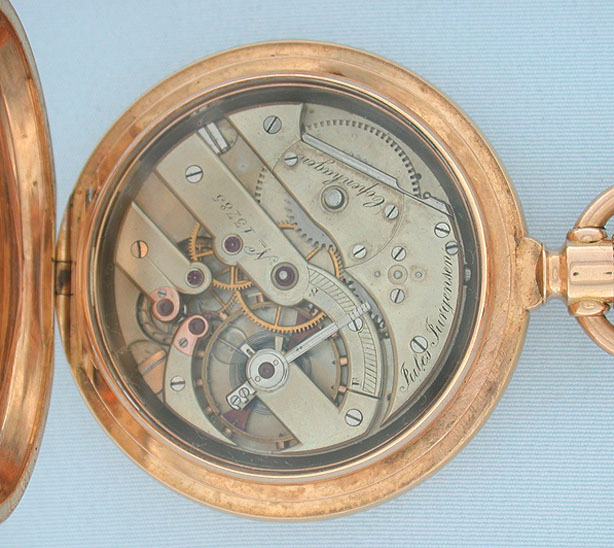 Plain polish case with crystal over the movement. 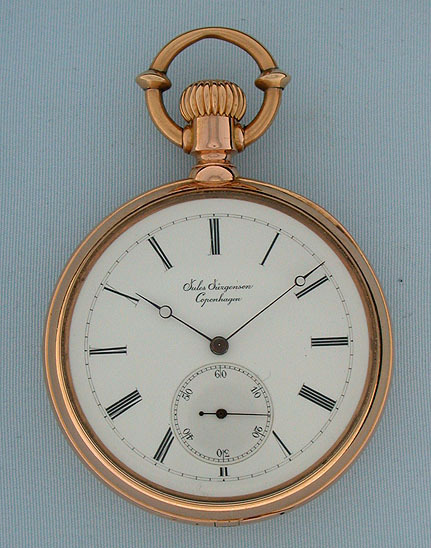 First quality 20 jewel movement with oversize chronometer balance, gold escutcheons, and Jurgensen's patent regulator. 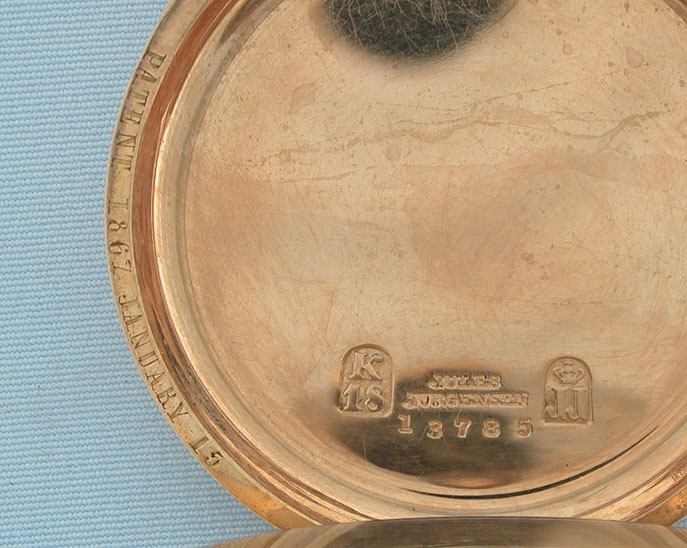 Jurgensen devised a mechanism that puts the watch into the hand setting mode when the bow is positioned against the back of the case.